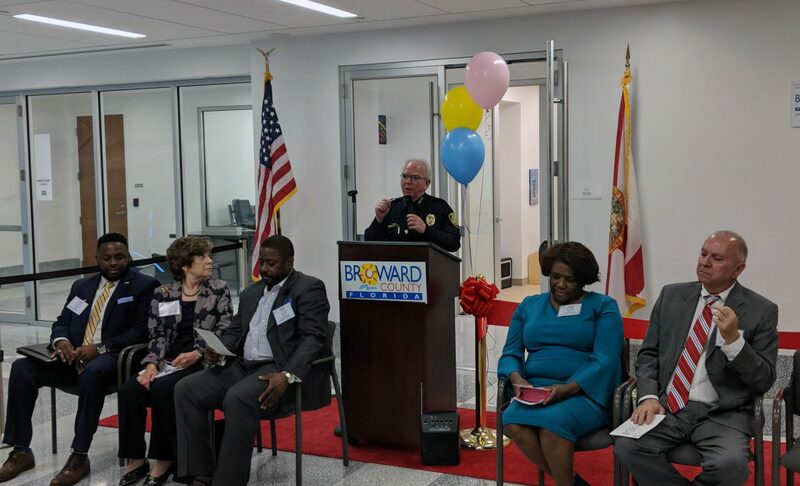 A grand opening celebration was held today in the Central Courthouse to welcome the addition of Broward County Kidspace, a secure, nurturing environment with trained, qualified YWCA staff to supervise children ages 6 months – 13 years while their parent/legal guardian attend a domestic violence related court proceeding or filing. 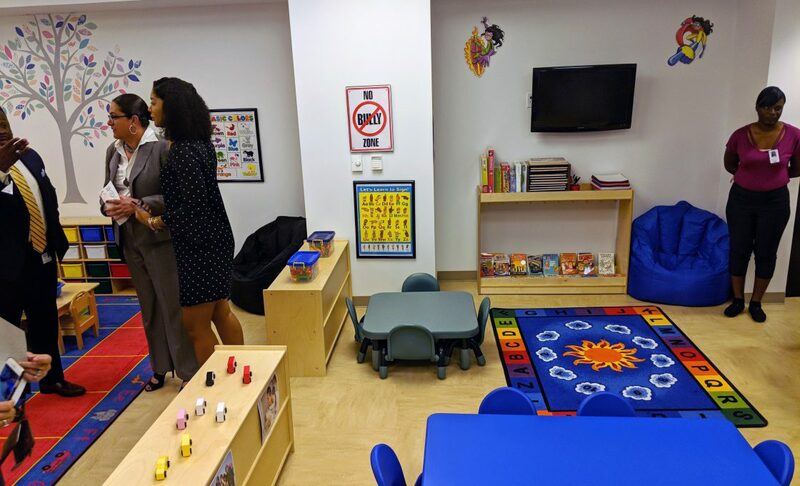 Open Monday through Friday, 9:00 am to 5:00 pm, Broward County Kidspace is open to children by referral only, through the Clerk of Courts, Domestic Violence Clerk. 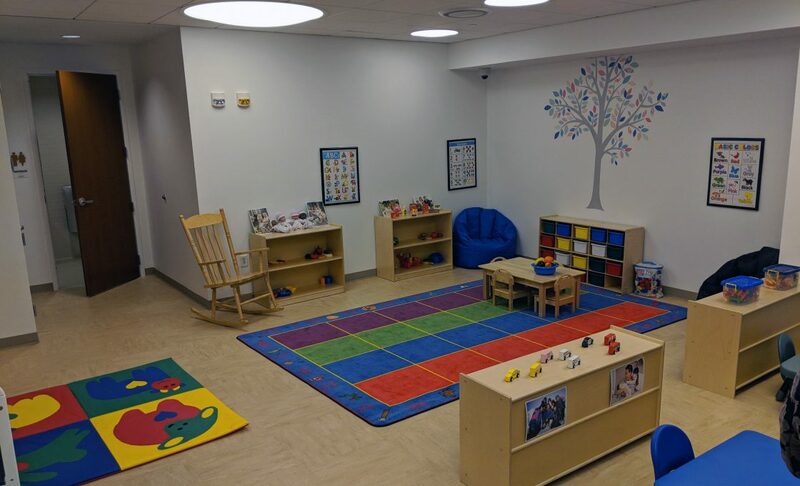 For more information, call (954) 831-5570 or email BrowardKidspace@YWCA-Miami.org. 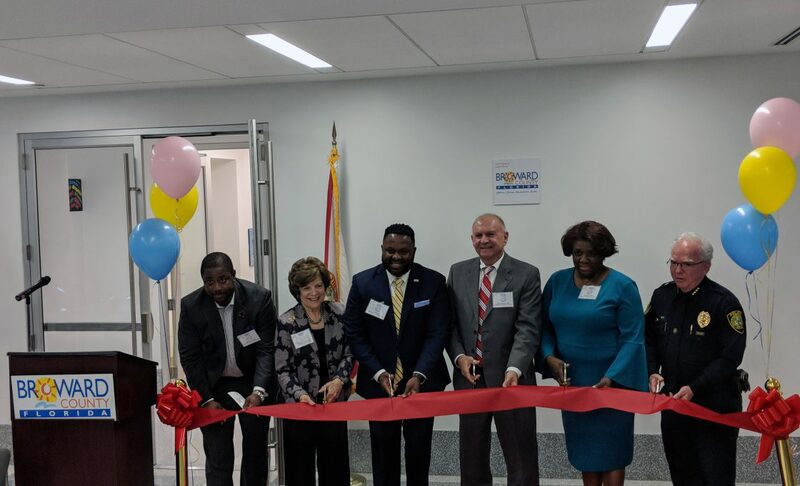 Pictured here for the ribbon cutting ceremony are: Alphonso Jefferson, Assistant County Administrator; Commissioner Nan Rich, Broward County Board of County Commissioners; Philip Harris, Administrator of the Children’s Services Administration Section; Brenda D. Forman, Clerk of Courts; Chief Judge Jack Tuter; Chief Paul O’Connell, Broward Chief’s of Police Association.